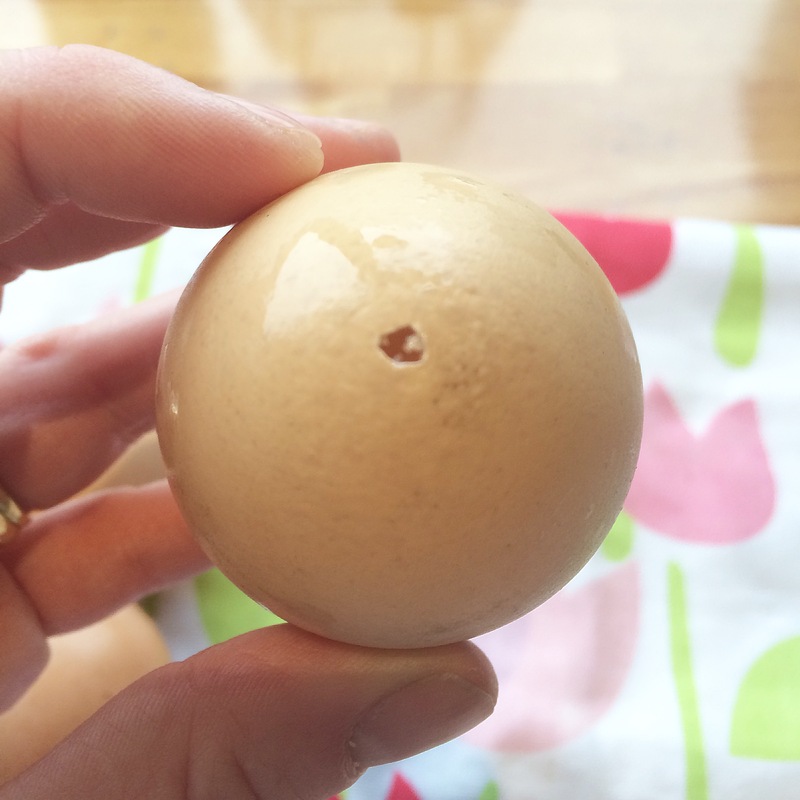 Ever wanted to know how to blow eggs for making Easter decorations? It’s so easy and fun to do! ***step by step instructions below***. gently but firmly push the tack/pin through the pointy end of the egg. now push the tack through the other end of the egg. take a cocktail stick and carefully insert it through one of the holes. swirl the stick around in order to break up the yolk. 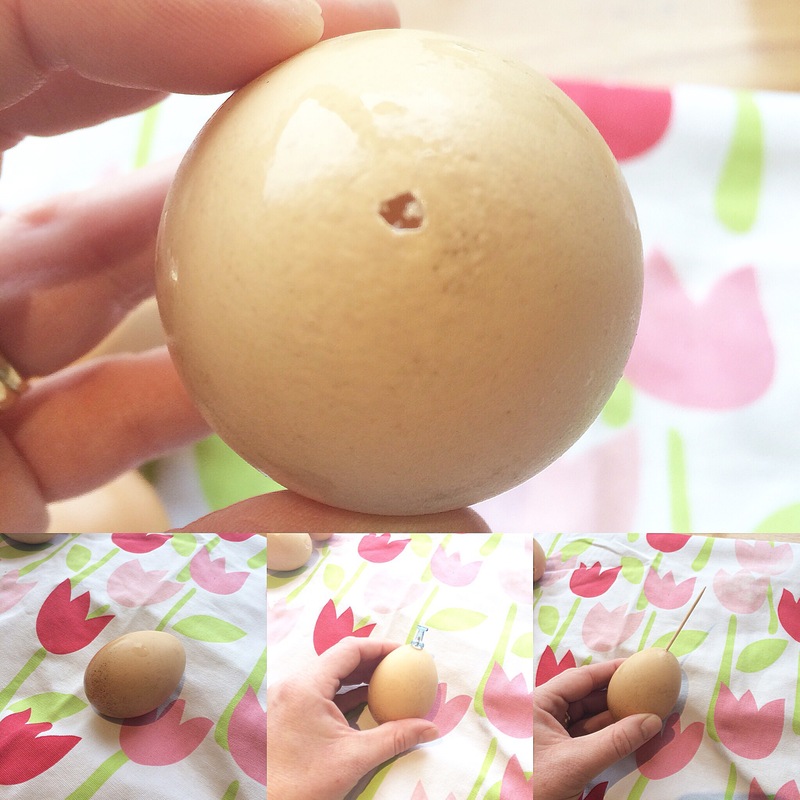 the cocktail stick also helps to make the holes a little bigger and easier for the yolk and white to be removed. you can also place a straw over one of the holes and blow through it, I just find it too fiddly . run water through the egg and blow it out to clean it out. leave to dry and then decorate!